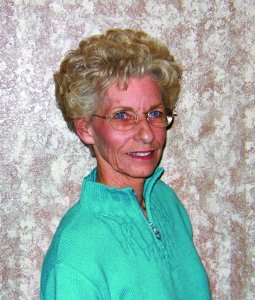 Beverly Beier is among the most experienced brokers in Roseburg, Oregon real estate. She is an expert in finding you the perfect home in Roseburg or anywhere in Douglas County, Oregon. Specializing in first-time home buyers and seniors, Beverly has extensive knowledge of market trends, lending information, and new upcoming properties throughout Douglas County. Trust Beverly to find your ideal home! Are you searching for the perfect piece of Roseburg, Oregon real estate? 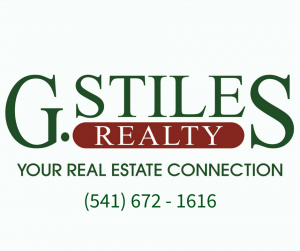 Do you want to make your home in Roseburg or Douglas County, Oregon? Is it time to list your house with an experienced, professional broker? As a realtor, I make real estate easy for you. Sellers may look forward to internet marketing until your home is sold. I always keep you updated on local market trends. I communicate with you often and I walk with you throughout the entire selling process. Buyers can expect to receive the most up to date information on properties throughout Roseburg and Douglas County. I will keep you informed on price trends, information on lending, where to find other services, and local activities. I take time to help you find the perfect home, then guide you through the purchasing process. I will be there for you from start to finish, and beyond. It is always tempting to try to sell or purchase property on your own, but it’s really in your best interest to have a realtor on your side in every real estate transaction. For the buyer there is no direct cost. For the seller, the costs are minimal and are based on the selling price of the home only. As a Roseburg real estate realtor, I not only work for you and on your behalf, but I also guide you through the whole process, which would include advertising, pricing, current market trends, suggestions of improvements, writing contracts, negotiation, inspections, lending, title, escrow, and closing. As a realtor, I will make your experience as smooth as possible. Time is always of the essence in a real estate transaction and a missed item or date could be costly. I have the knowledge to notice issues before they become a problem. Good realtors have the most up-to-date information and resources at their fingertips. Also, a realtor has access to all available properties on the market. The State of Oregon heavily regulates the real estate industry and there is an exemplary “standard of ethics” that a realtor must meet. So many questions arise when you’re buying or selling, therefore using an experience expert to help you through the whole process is the wise choice. I offer that professional guidance, knowledge, efficient service, care, and concern to all of my clients. I have been a realtor and business owner since 1984. I am committed to offering all of my clients and customers the best service possible. As a full-time realtor and licensed principal broker in Oregon, I hold membership in the Douglas County Association of Realtors, The Oregon Association of Realtors, The National Association of Realtors, Graduate Realtors Institute, and the RMLS Listing Service. I have lived in the Roseburg area since the 1970’s. My husband Bob and I enjoy our ranch just north of town, where we raise cattle. Bob is a retired contractor, past President of the Umpqua Home Builders Association, and 2008 Builder of the Year. Therefore, the remodeling of our home is an on-going project. We are animal lovers and enjoy them all, especially our cats. We find our lives are pretty much run by our somewhat “spoiled cats”. My hobbies include scrapbooking, gardening, American History, and playing with my cats.